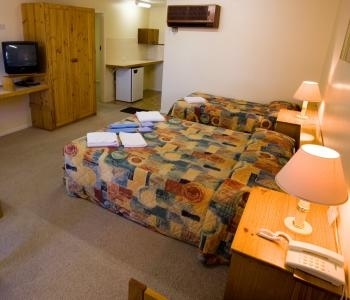 Welcome to the Alabaster Motel - a 3½ star property situated on the Mid Western Highway approx 1 km east of the Post Office, offering a quiet location and friendly atmosphere with the best views in town! 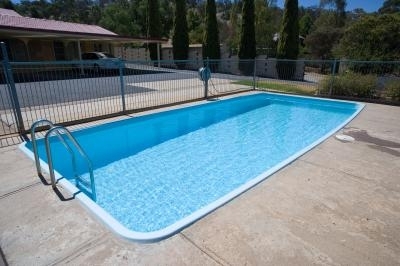 It is a 10 minute walk to local clubs, restaurants and shops. 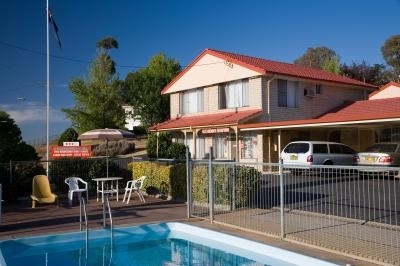 The motel consists of 13 rooms, 6 standard, 5 deluxe and 2, 2 bedroom units. 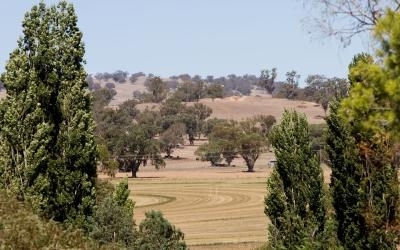 All rooms have reverse cycle air-conditioning, electric blankets, tea/coffee making facilities, are connected to Austar, refrigerator, modem outlet for computer, direct dial phones and ironing equipment. All rooms are also non-smoking, but ashtrays have been provided in convenient locations outdoors. The deluxe units, set well back from the road are elevated, very spacious and open onto a large balcony offering picturesque rural views. 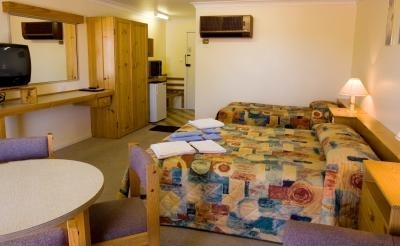 The bedrooms have queen size beds and a single bed with electric blankets, a table and chairs and a sofa. 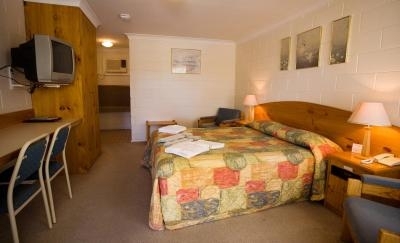 The comfortable standard rooms have a queen size bed or a double and single bed, all with electric blankets. LATEST NEWS!!!! All Rooms now have broadband wireless internet connection. 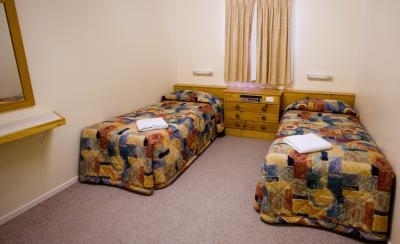 Every room has undercover vehicle parking and is perfect for car and motorcycle club activities. Extra parking is also available for trailers and larger vehicles.